Elisdee Productions has a Zero Tolerance for under age drinking and all drug use. We have the right to refuse service to anyone we choice. Clients must be over 21 to use our services. Any rentals ( shows) where minors may be present, a parent(s), guardian(s) must chaperon and supervise those minors throught out the event. Clients, please refrain from giving our bands any refreshments, as Elisdee Productions will provide all bands private catering and SECURITY in the designated BANDS ONLY/ NOT OPEN TO PUBLIC area. 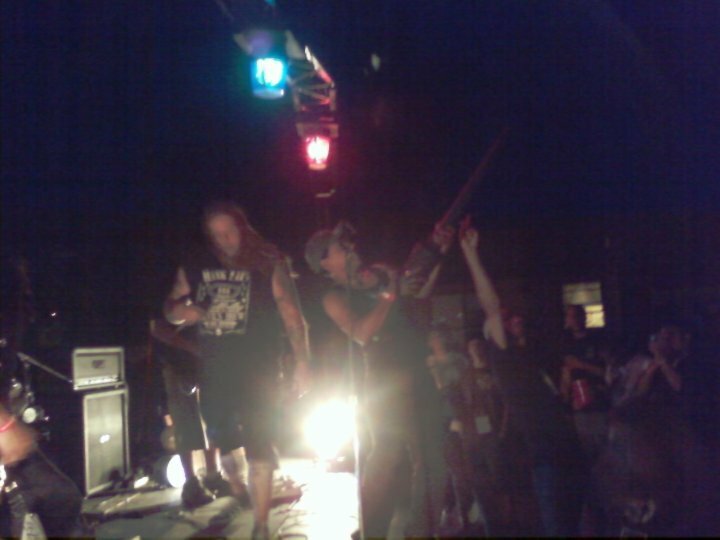 Some Religious, Spiritual bands may provide ministry during their performance. So please inquire and/or choice your performer(s)carefully. We want your event to be a safe and happy. Being safe leads to a better time. So please monitior your guests and have a great time. April 1987 not Metal's finest moment, America was finding Rap and loved top 40 post glam drag rock. Thou in Lubbock Texas, Metal and Texas Metal/Punk were being shaped. Deep in the east side of town, two brothers, Elisdee and Joe Perez were digging Exodus, Luna-chicks, Another state of mind documentary, Ladies and gentlemen the fabulous Stains and Ice Cube. 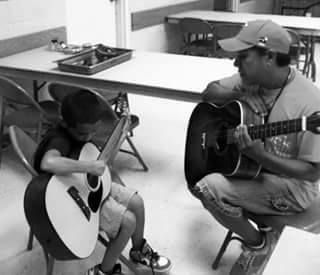 The Perez family unit consisted of musical instruments and playing music was quality time. Of course the brothers formed a band called G. V.D which featured Ronnie Sterling of Mortifix. The band released two l.p.s, one that featured MC R.A.T., appeared on a LBK Punk compilation, all recorded and co- produced by Kevin Wheeler at cDc com studios. The songs consisted of a mix of Joan Jett /Iron Maiden/Slayer styles and shapes. The shows were complete with Front man Elisdee in a plaid mini- skirt, spewing blood, via Gene Simmons; next a large fake ! @#$ was suspended from the rafters, blowing smoke. There was some Godzilla movie playing as a back drop. Those stunts, racial issues, and Elisdee pushing it to the limit, dissolved the band 3 years later. Fast forward to the present; Joe can be seen and heard thanks to Lubbock's Mojave Sol. Elisdee is an acknowledged musician, artist, poet and actor in the LBK art world. He is currently looking to change the world with love , respect, music, art. Lubbock, Texas breeds one-of-a-kind musicians, case in point, two Latino brothers from the east side of Lubbock, Texas playing rock music. Copyright 2009 Elisdee Productions. All Rights Reserved.